Read the first chapter of ‘Buddhism for Busy People’ here! The first book I wrote about Buddhism was called Buddhism for Busy People. That was back in 2004, when there weren’t many books providing an introduction to the key concepts in Tibetan Buddhism. Buddhism for Busy People is also a very personal account, relating my own encounter with Buddha’s teachings (the Dharma), why they resonated and how they began to change my life. I’m delighted to say that over ten years later the book is still in print and widely available. In fact, it is in second editions in both English language editions. I still receive wonderful emails from readers who have discovered that the Dharma resonates with them too. I hope you enjoy the first chapter here! Chapter One: What does it take to be happy? What does it take to be happy? Of every question in the world, this is the most universal. It is also the great leveler because all of us – comfortably off or financially struggling, single or in a relationship, awkwardly overweight or elegantly slim – are equal in our desire to achieve true happiness. Not the happiness we’ve all experienced which comes and goes depending on circumstance, but a happiness which endures, regardless of change. A happiness we feel deep down inside. By any objective standard, our efforts to attain this simple goal have met with decidedly mixed results. As a society we now enjoy a level of affluence that would have left our grandparents breathless – but our medicine cabinets have never been so replete with sedatives, tranquillizers and antidepressants to cocoon us from our new, ‘improved’ reality. We have at our disposal an unprecedented range of labour-saving technology – but nor have we ever had to work such long hours. 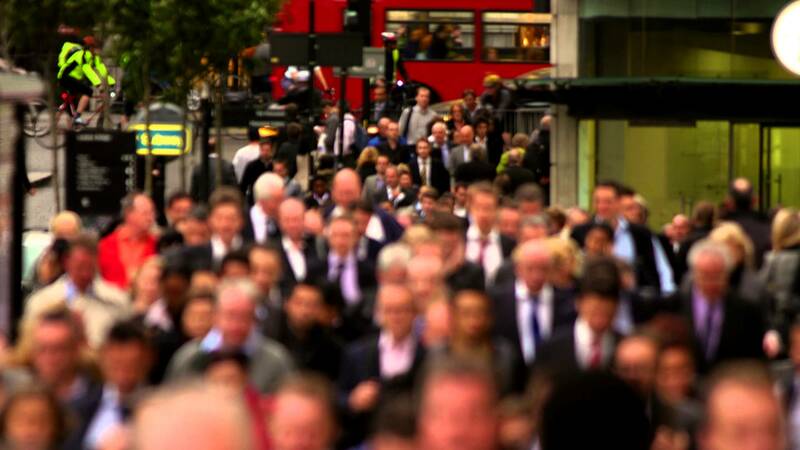 We are succeeding in the cosy notion of creating a global village – but never have we felt so under siege from international terrorism, volatile stock markets, viral infections and other threats. And so the list of paradoxes continues. On an individual basis our striving for happy, purposeful lives often doesn’t fare much better. Money, relationships and fulfilment in work are the core ingredients of most people’s recipes of happiness, but if we were to send in the Happiness Auditors to check up on their effectiveness, could they really withstand close scrutiny? Successive studies of lottery winners, for example, show that within months of multi-million dollar wins, happiness levels return pretty much to where they were before. Amazingly adaptable creatures that we are, we adjust to new conditions so quickly that what was once fabulous, soon becomes the norm, and we’re back where we started in search of fresh excitement. Even when we do achieve that much sought-after promotion, that big-ticket deal, that amazing breakthrough, all too often we are mystified to discover that we fail to experience the wonderful feelings we’d always thought we would. ‘Is this all?’ we find ourselves wondering. As for relationships we don’t have to look very far to recognize just how swiftly that first, giddying rush of romantic intensity matures into something very much more complicated. Yet somehow we manage to convince ourselves that it’s not the recipe that’s at fault – it’s the ingredients we’re working with. If only we were to land this particular job or contract, the difference would be life-changing. That man or woman is just so right that life with them would transport us to a state of great bliss. The fact that we once entertained similar thoughts about our now very-ex partner is not a subject we like to think about. Or if we do we have an outstanding ability to convince ourselves that this time it will all be completely different! Having spent my adult life in corporate public relations, my own search for happiness has been a busy one. On the career treadmill working crazy hours, juggling a dozen balls, experiencing the full spectrum of emotions from the pumping adrenalin of triumph to the desperate wish that the world would stop, I am all too familiar with the relentless striving to succeed. The wearying knowledge that no matter how far you go, there is always so much further. But it has also been my enormous good fortune to have encountered Tibetan Buddhism. To have discovered a practical alternative. This book explains how profound and lasting happiness can be achieved according to this ancient tradition. It is also an unashamedly personal account of how Buddhist teachings have helped me infuse my day-to-day life with greater meaning and how they are transforming my understanding about what really counts. Personal though this particular account may be, it is written with the certain knowledge that there is nothing at all unique about my experience. Scratch out corporate public relations and replace it with any other form of busy-ness and the story for most of us is a variation on the same theme: too much to do, too little time to do it in, and an underlying recognition that despite our best endeavours, we don’t appear to be living life to our full potential. It is also true that by integrating various practices into my life, I have benefited from results which are by no means unique either. And still do, every single day. If, like me, you have a tendency to take yourself altogether too seriously, beating yourself up when things don’t go according to plan; if you feel your chances of happiness are undermined by circumstances beyond your control; if you would like to be a kinder, more generous person, but your heart has been cauterised by hurt and fear; if you would, quite simply, like to experience a sense of meaning beyond ‘another day, another dollar,’ you may well find in Buddhism, practices which are truly transforming. What, you might ask, can a tradition developed in a remote oriental fiefdom two and a half thousand years ago possibly teach Western man in the twenty first century about happiness? As it happens, one of the most amazing paradoxes of all is that the Tibetan Buddhist approach could have been developed with busy Westerners specifically in mind. In the finest empirical form, it represents an approach to the human condition based on an unflinching analysis of the facts. It provides tried and tested practices set out in clearly defined steps to lead us from our current mental state to greater happiness and, ultimately, enlightenment. As far as Buddhism is concerned, our attempts to re-arrange the externals of our lives – money, relationships, careers – can only ever result in temporary satisfaction. The reason being that all such attempts don’t take into account the only constant in life: change. Even if we do get things the way we want them, inevitably something will come along to upset our plans. Instead of the impossible task of trying to control our whole environment, the Buddhist philosophy is to take control of the way we experience that environment – in our mind. Our objective is to re-arrange not the externals, but the internals. To identify our habitual, negative patterns of thinking, and replace them with more positive alternatives. To change not the world, but the way we experience it. So it may seem. But even in the most difficult circumstances, change is possible. It is for this very reason that one of the best recognised symbols of Buddhism is the lotus, a plant which, though rooted in the filth of the swamps, rises to the surface as a flower of the most extraordinary beauty. How is such transcendence achieved? Not through hoping, or wishing, but by engaging in well-established practices which, for thousands of years, have been shown to deliver successful results. ‘What do Buddhists believe?’ is a question often asked. Because belief lies at the heart of the Judaeo-Christian tradition, the assumption is that Buddhism too is founded on belief and that Shakyamuni Buddha is the Buddhist equivalent of Jesus or Mohammed. In fact, Buddhism works according to a completely different model. Buddhists do not worship Buddha, but regard him instead as an example of what we can all achieve if we quite literally put our minds to it. Buddhism suggests no ultimate divinity who will make things better, but instead provides us with the mental software we need to make things better for ourselves – and, of course, others. The sub-title of this book ‘Finding happiness in an uncertain world’ refers to a deliberate process. If we wish to learn the piano or improve our golf game, we know it isn’t good enough simply to own the right equipment. We have to learn how to use it, step by step, practicing relevant techniques until we achieve a level of mastery. So it is with our minds, where the effects of Buddhist practices are observable, repeatable and measurable. Where does one begin finding out about this path which is both ancient and advanced, practical and transcendent, radical and profoundly reassuring? Buddha Shakyamuni is said to have given 84,000 teachings during his lifetime, but it is our very good fortune that the essence of these were distilled by Atisha, one of the most important teachers who took Buddhism from India to Tibet. Atisha’s instructions are known as Lam Rim, which translates approximately as ‘the Path to Enlightenment.’ Within Tibetan Buddhism there are a number of different schools, each with their own particular emphasis and terminology. While some attach greater importance to Lam Rim as a text than others, the teachings contained within it are precious to them all. This book provides an introduction to these core teachings. It does not pretend to be a comprehensive explanation, which is already available in a number of different books, including the superlative volume by my own teacher, Geshe Acharya Thubten Loden. At this point it’s also important to say that, as the author, I am in no way claiming to be a ‘professional’ – that is, a teacher, lama or monk. It is for that very reason that I hope this book may be useful to the busy people it is aimed at – because I am a busy person too. In telling my own story as a very typical busy person, outlining the Lam Rim teachings and how they help me, it is my heartfelt wish that you will find in this book something you can relate to, something of value. Perhaps some concepts or techniques will strike you as useful, while others may seem less so. And that’s fine. Buddhism is very much more ‘À La Carte’ than ‘Set Menu’. Take those practices which work for you as an individual, where you are now, and leave the others to one side. Because this is a personal account, it involves real people. For that reason, in order not to compromise their privacy, I have changed some names. But rest assured I have taken no fictional license with the Lam Rim. Explaining Buddhist teachings, or the Dharma as they are collectively known, is rather like trying to describe a richly embroidered tapestry in terms of the separate threads from which it is woven. The inter-relations are such that it’s difficult to unravel one thread without referring to others. My hope is that whether you are completely new to Buddhism, or are already familiar with Lam Rim, you may find in the teachings I quote fresh sources of illumination. Enlightenment can seem a far way off – most of us can only guess at what it means. But Lam Rim is also the path to happiness, and that’s something we can understand better. Not the short-lived, worldly happiness we have all felt, and lost, so many times throughout our lives, but an enduring and heart-felt serenity. A sense of meaning which goes beyond narrow self-interest to encompass the well-being of all those around us. An experience of our ultimate nature as pristine, boundless and beyond death. For it is Buddha’s promise that, like the lotus, our destiny is a future radiance beyond anything we might presently conceive, as we rise above the swamp to achieve the supreme bliss of transcendence. How timely this blog. I will be departing for Nepal in two weeks to do a spiritual tour, stay in a monastery and learn basic Buddhism. I think I shall read your book along the way – probably on the long plane flight there! Hi Lisa, I hope you have a great time in Nepal. I highly recommend a visit to Kopan Monastery, and also the Kathmandu Guest House for coffee! Thanks David. We will be staying at Kopan Monastry for 10 days. I’ll be sure to visit the Kathmandu Guest House as well. I hope they have tea as I don’t drink coffee! A great place to relax and soak up the ambience! Got confused in purchasing your book. One site states the book with lotus flower on front cover was published in 2007 and the book with the sunset view on front cover as published in 2013. Then other site states the opposite. Are you able to clarify which book is the newer version? Is there any difference between the books? This is a first for me but felt compelled to put a few words down. With a strong Christian background, I always thought it strange that I was so drawn to Buddhism. A fellow Firefighter in Perth is a regular at the Buddhist Temple in Herne Hill, and as such I found myself there. After 3 weeks of my Introduction to Buddhism classes, I decided to do some of my own reading. 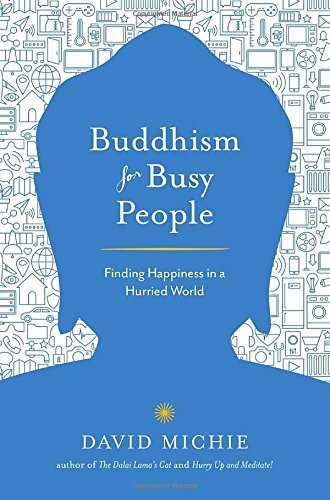 I stumbled across a Buddhism for Busy People book in my local book shop and made the spontaneous purchase. It was with great surprise and pleasure that the Author and subsequent content was a lot closer to home than expected.